Self-Employed? 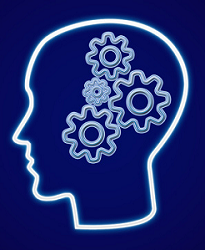 Use Science to be WAY More Productive in 2013! If you are self-employed (as freelancer or an entrepreneur), there are few phrases that apply more aptly to your lifestyle than “time is money” … in fact, this is a concept you’d better master, or else you’ll be in really bad shape! With all of these things stacked against them, self-employed folks have recently become obsessed with productivity and “work hacks” … and who can blame them? The problem is this: While a great set of tools can help you get more done, TRUE productivity comes from understanding how your mind works, and what pitfalls hold it back. Productivity is not signing up for 10 to-do list apps, 5 time-tracking apps, and syncing up your 8 separate calendars to all of your mobile devices. Instead, it’s embracing the strengths (and flaws) of your cognition, and using systems to turn “motivation” into the much more useful discipline. I thought so… let’s get started! How to Be More Productive… With Science! Made in collaboration with ASAPscience. What does this research have to do with self-employed people? How can we utilize these findings to have a more productive 2013? 1.) Work like a world-class expert: Knowing nothing else, if I asked you to describe the typical “work day” of a world-class, cream of the crop violinist, you’d likely picture a scraggly musician with dark circles under their eyes and their violin clutched dearly next to them at all times. The truth seems to be stranger than fiction: according to research by Anders Ericsson where he diligently observed the practice sessions of violinists across multiple skill levels (good, great, elite), the best players did NOT practice more often than other players and, on average, actually had more sleep per night than even the “worst” players! Subsequent studies by Anders on this finding give us a revealing answer: the best players were engaged in more “deliberate practice” and were better at managing their productive energy than their peers. While the merely “good” players had a tendency to practice all throughout the day, the BEST players segmented their practice sessions into strict blocks of time. Despite spending the same amount of time practicing their instrument, the elite players were spending almost three times as many hours on deliberate practice. 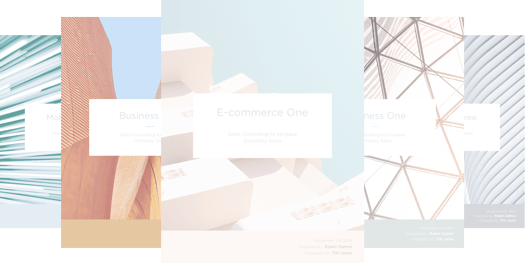 The most interesting thing about this research is that it coincides nicely with the findings of Tony Schwartz, bestselling author of The Power of Full Engagement. Two studies that he often cites come in the form of a Federal Aviation Administration paper that conclusively shows that focus and alertness can be improved (by over 16%) with the utilization of short breaks. 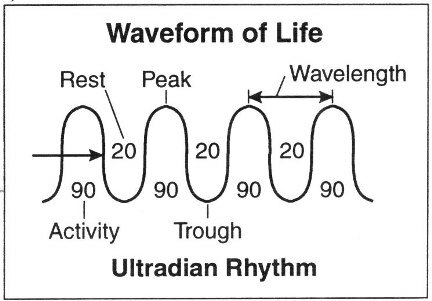 The other study comes from Peretz Levie on the process of “ultradian rhythms“, and our energy levels rise and fall throughout the day. Both findings point to one conclusion: Productive output is increased by having a lengthy productive session (~90 minutes) followed by a planned break (15-20 minutes). Human beings are designed to pulse rhythmically between spending and renewing energy. That’s how we operate at our best. Maintaining a steady reservoir of energy – physically, mentally, and emotionally – requires refueling it intermittently. In a nutshell: trying to conserve energy throughout the day is a fool’s game. Instead, try intensely productive segments that are followed by planned breaks to allow yourself to “go all-in” while you are working and help you to avoid the trappings of busy-work. 2.) Your willpower will betray you: We all procrastinate on starting big projects from time-to-time, it’s really just a part of human nature: in fact, researcher Janet Polivy has showcased that big projects are the most likely to cause procrastination because they give us more opportunities to “abandon ship” when things aren’t going well (something our brain loves to do). Worse yet, research on the concept of “ego-depletion” has unveiled some convincing findings that all point to one thing: our willpower is a “limited resource” that can be entirely used up. As someone who is self-employed, you won’t often be relying on instructions or support from others, so relying on your willpower alone is especially dangerous because if it fails, you’re likely to end up in a self-destructive lazy slump! What to do instead: Numerous research on discipline helps us shed some light on becoming less dependent on our willpower alone. In a test on the “commitment and consistency” of drug addicts conducted by the American Psychological Association (a segment of the population notorious for their inability to stay disciplined), researchers observed the ability of their subjects to complete a 5-paragraph essay by a certain time & date. They found that those addicts who had written down when & where they would complete the essay were 90% more likely to turn it in. These findings have some interesting correlation with those related to discipline in “normal” people: in a study examining the ability of average people to stick with a strict dieting plan, researchers found that those participants who rigorously monitored what they were eating were able to maintain far higher levels of self-control when it came to maintaining their diet. 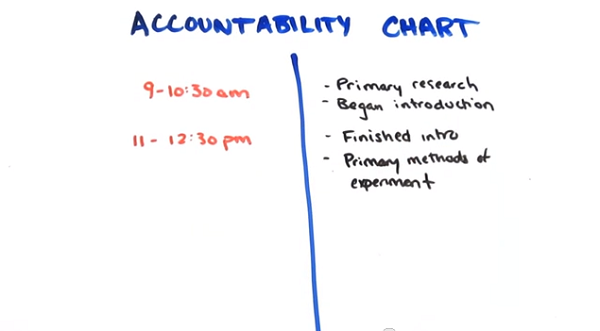 To put these findings into practice from a productivity standpoint, test out using an Accountability Chart to measure how much you are actually getting done during your work sessions. While many multitaskers will TRY to convince you that they “really are awesome at multitasking, promise!”, I’ve yet to see any convincing evidence on the matter. On the contrary, I’ve found a bunch of evidence that goes directly against that line of thinking: Researcher Zhen Wang was able to demonstrate that on average, people who multitask are far less likely to be more productive than workers focused on a single task. Despite this, multitaskers tend to feel far more “emotionally satisfied” with their work because the create an illusion of productivity by working on multiple things at once… but doing none of them well. …surprise! The researchers found that the subjects who engaged in multitasking were terrible at all three! What did you think about the research above? Did any of the studies really surprise you? What “productivity hacks” do you have to keep yourself on track? Share your best tip with us in the comments! Next Freelancers: Are You Making These 5 Common Pricing Mistakes?